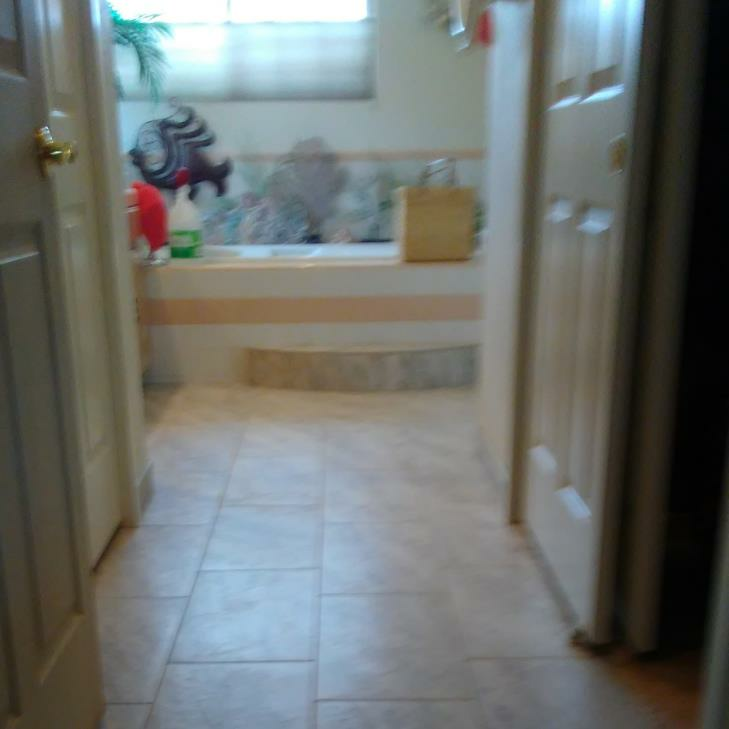 Demoed old carpet and installed tile. The designer said to go to ansquare step, but after talking to the customer we opted to keep her radius step. 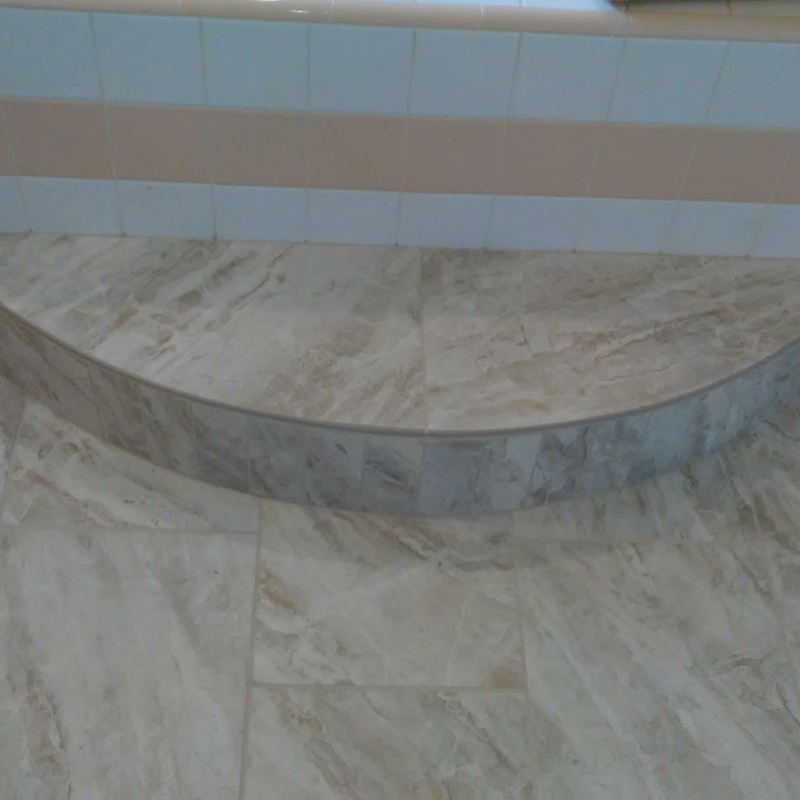 I fabricated a bullnose to the tile for a clean finish.